Backyard designs catering to outdoor entertainment are becoming increasingly trendy in the Northern Virginia area—and it’s easy to see why! Not only can outdoor entertainment spaces offer additional room for backyard barbecues and summer parties, but they can add beauty to your landscape and even add value to your property. 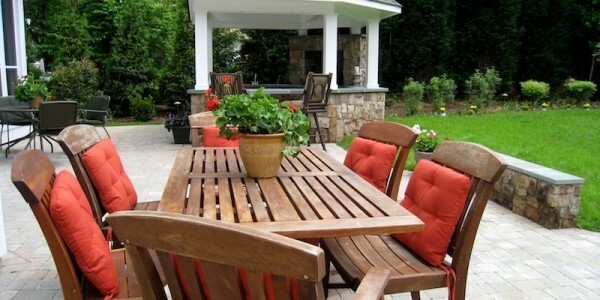 Installing patios or deck areas with plenty of comfortable seating. A quality paver or flagstone patio is not only a beautiful addition to your property, but it offers plenty of space where you can sit and chat with guests, dine outdoors, or simply enjoy the views that surround you. For an especially effective design, you may want to consider a tiered patio design. When selecting furniture, keep in mind that you want it to be comfortable and inviting, but also durable enough to withstand Northern Virginia weather. That means upholstery that’s not just plush, but more resistant to fading than your indoor seat cushions. To provide extra warmth, light, and elegance, you may also want to include an outdoor fireplace or fire pit where you can gather around with your guests. Your new patio can be a great place to position an outdoor kitchen, or you can create a separate patio to keep seating areas separate and offer room for multiple activities. When designing your outdoor kitchen, consider whether you just want to serve food or you want to serve drinks as well and what kind of outdoor entertainment features you like best. Depending on your budget and how expansive you’d like your outdoor entertainment areas to be, a quality grilling station may be all you need. But if you’re looking for a larger area where you can host outdoor parties, you’ll likely want to include a bar in your outdoor kitchen design with refrigeration, sinks, cabinets, and countertops. Consider any other amenities you might need as well—including appliances like beer taps and ovens—and if you want a stereo system or weatherproof TVs and bar seating. Pergola – for even more shade, add flowering vines to the design! Including task and accent lighting. Having proper lighting in place is important for keeping your landscape safe at night. But it can also enhance the ambiance and bring out the beauty in your landscape with the right design. Check out your options for landscape lighting! 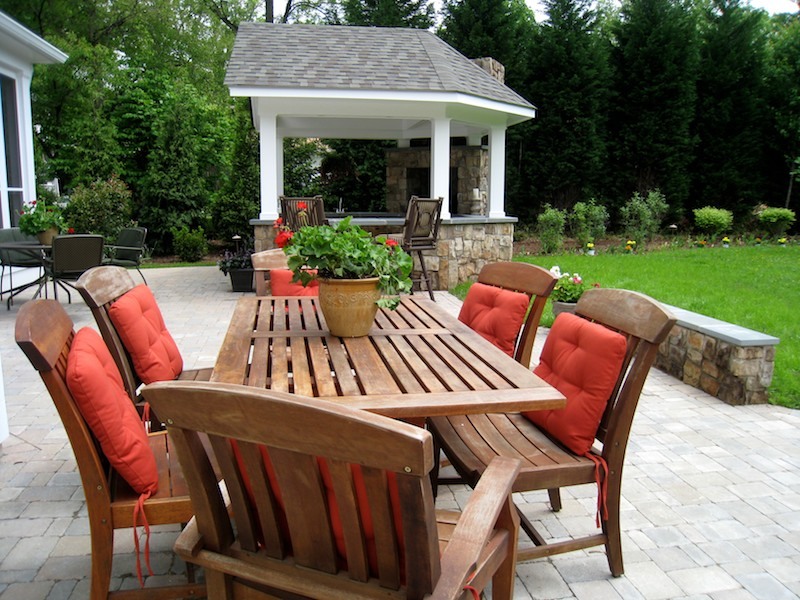 If you live in the City of Falls Church, Great Falls, North Arlington, McLean, or Vienna and are interested in installing outdoor entertainment areas in your home, call O’Grady’s Landscape. We have years of experience doing just that for residences all over Northern Virginia with quality custom hardscapes and beautiful plantings. Make the most of your outdoor space! Contact us today to learn more about building an outdoor entertainment area in your backyard—call now at 703-533-5001.